Pinterest has released some exciting new updates which will allow your business account to pack a punch. First, I want to remind you to take a look at my previous post The Power of Pinterest. These are points I covered with the ACCP – Association of Club Catering Professionals at the national conference. Review this post before watching today’s video and learning about these updates. You’ll have a much better understanding of why these current updates are SO awesome! 2. Analytics Boost: While we are already able to measure the traffic between our websites and Pinterest, we can look forward to measuring all of our pin performance, as well as engagement across other platforms. Major, major boost. 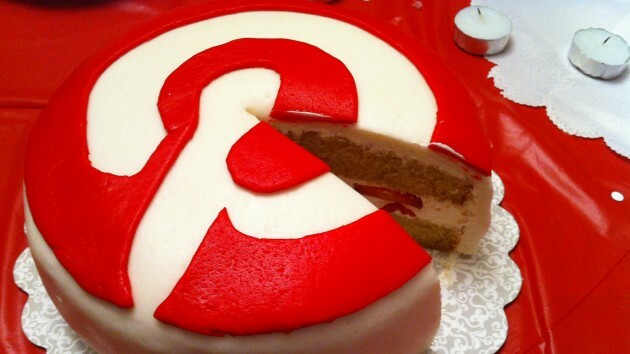 3. Business Blog: Pinterest recently relaunched their blog specifically for business accounts. In addition to sharing updates to Pinterest, they share case studies which help you easily steal great ideas and put them into action. Check out the Pinterest Blog. 4. Guided Search: Currently on mobile devices, and soon on the web, Pinterest has launched a new way of searching for pins of interest. When you type a word into the search bar, you see colorful boxes with associated words. 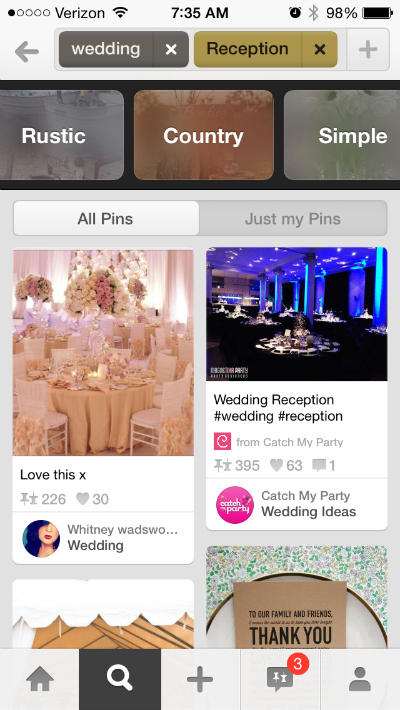 The guided search helps you narrow results to find your perfect pins. Smart business users will take cure from those words and edit pin and board descriptions to include those keywords to make your pins more discoverable. 5. Bonus Advice: Once you’ve built up your account with a good handful of boards and nice photos, use your Pinterest account as a visual sales tool. Tour your prospects around your club’s event venue and bring it to life with photos on your Pinterest account. Giving a campus tour to prospective students? Same thing. The plaza my be deserted the day you give the tour, but showing students and parents what the campus looks like in action, is a strong selling point.